Everyone wants to look flawless and beautiful in this generation. We aspire to appear sizzling and attractive day by day. 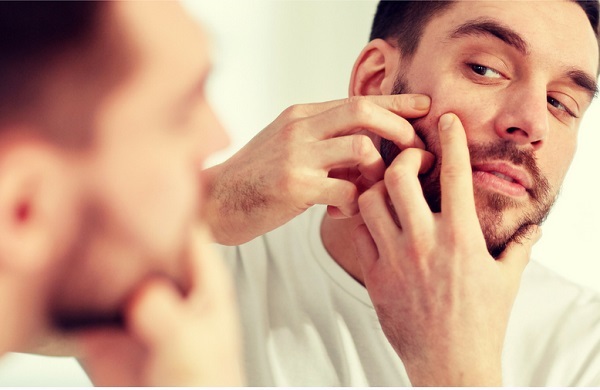 To achieve this, we attempt to find out a variety of magical treatments to rid of pimple and spots that can otherwise decrease our confidence and expectations. Oily skin is the most troublesome skin type to be honest. It reacts to a single change in the skin routine and usage of different cosmetic goodies. 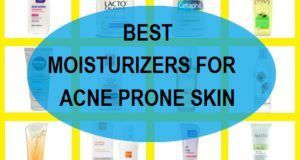 So, here we’ll talk about the best ways that can help get rid of the pimple marks from the oily skin. 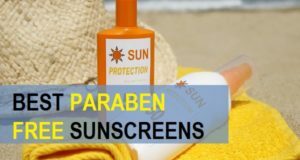 Oily skin is surely hard to take care but once you get the zest on how to take care of oily skin then surely you can get lesser skin problems. Lemon juice is one of the easiest and high sources of vitamin C. But why Vitamin C is so beneficial in removing the pimple mars, actually the vitamin increases the cell renewal and has a mild bleaching. It promotes the skin lightening by eliminating the dark melanin and scarring of the tissues. Extract few drops of the fresh lemon juice. Using a Q tip, apply that over the scars and pimple marks at night. Night is the time when the skin heals more effectively. Do this every day until the mark gets lighter. Another product which can be easily procured is tea tree oil. This wonderful oil can do a lot for your skin and hair. It can even make the hair grow at faster rate, but that is a different topic. This oil is rich in anti-bacterial and anti-fungal properties. Hence, it can be used for the eliminating of dandruff, treatment of cane and pimples along with the cure of psoriasis and dermatitis. For this remedy, you have to dilute 5-6 drops of tea tree oil with two spoons of water. Using a small cotton pad, apply this on the face and leave overnight. It’ll surely lighten those pimple marks that are as a result for the painful pimples. It can even be applied on the fresh pimples to eliminate or treat then faster. Gram flour is the best remedy to cure pimples. It is suitable for oily and combination skin. It contains iron and vitamins that gives a rosy glow on your face. Gram flour cleanses your pores deeply and unclog them. Honey is a good source of anti-bacterial properties that prevent acne and blackheads and restore lost moisture in your face. You will feel the change in your skin texture after a few uses. How to make this face pack? Now apply it onto clean face or other affected areas. Tomatoes are a good source of vitamin-A and vitamin-C that enhances the beauty of your skin. 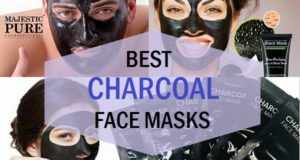 It heals acne and removes oiliness from your face. Lemon juice is great during cleaning and killing fungal and other skin infections. It adds shine and gives a soothing smell. While lemons are rich in vitamin-c that whitens your face and tomatoes consist of anti-oxidants that improve blood circulation. This face mask is an ultimate solution for acne prone skin. Multani mitti (fuller earth) absorbs excessive oil from the skin and makes it super clean and dry. It removes dirt and dust caused by pollution. Your skin feels protected and pampered after using fuller earth as it has anti-fungal and anti-bacterial action. It has calcium, magnesium and iron. Mint consist the same properties like fuller earth. It has cooling effect on the skin and gives a clean glowing face in just some minutes. Now crush it using a crusher or a grinder. You can also use fuller earth powder which is easily available at your nearest grocery store. Lastly, rinse off with chilled water. Scrubbing can be vital when you try to get rid of the pimple marks from the face. Exfoliation helps remove the scarred cells and makes the skin smoother. Hence, apply a paste of sugar mixed with some honey can give you not just smooth skin but also lighten the dark pimple scars. 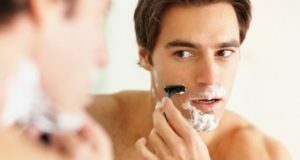 Sugar scrubbing can be done 2 times in a week along with using other remedies that we have stated in this article to increase the benefits and its results. Malic acid present in the apple Cider Vinegar also chemical exfoliates the skin. This is why a lot of remedies utilize this product to cure the darkness and scarring. It also tones the skin and makes it glow. The recipe is quite simple and easy. Take 1 teaspoonful of apple cider vinegar and then mix this with 50 ml of water. Use this to apply on your face using a cotton pad. Keep this for 10 minutes, then wash the face. It is more like a toning and cleansing recipe that is good for all skin types. 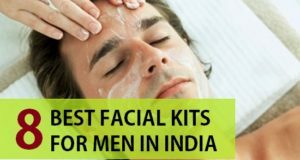 These are the remedies and easy tips to remove the pimple marks from the face. 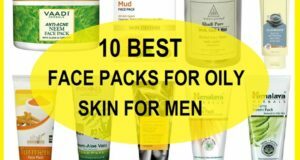 Do check these articles useful for the men’s who have got oily skin.